View all the varieties of Peppers of Asia & India that are in the Capsicum Annuum family. Check them out below. 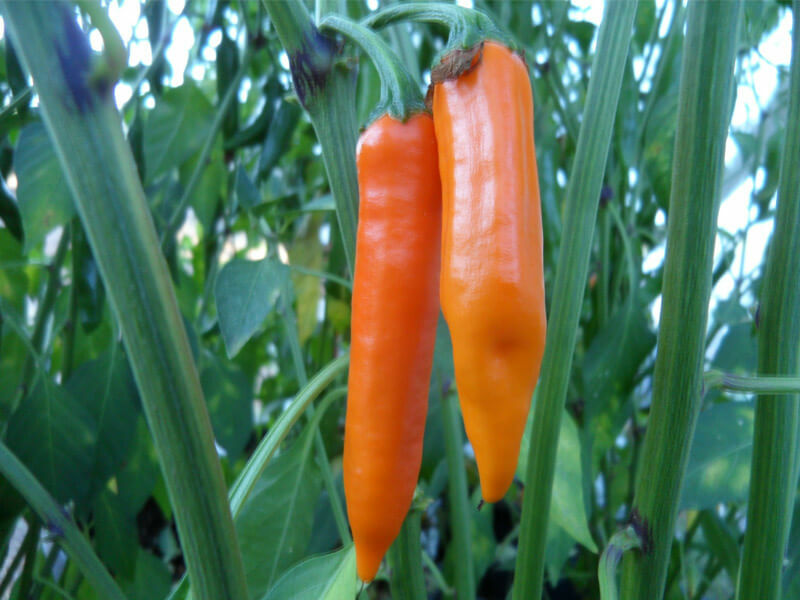 These are peppers we grow that originate from Asia, Southeast Asia, India, Malaysia and Indonesia. This group will not include the superhots like Ghost and Nagas. 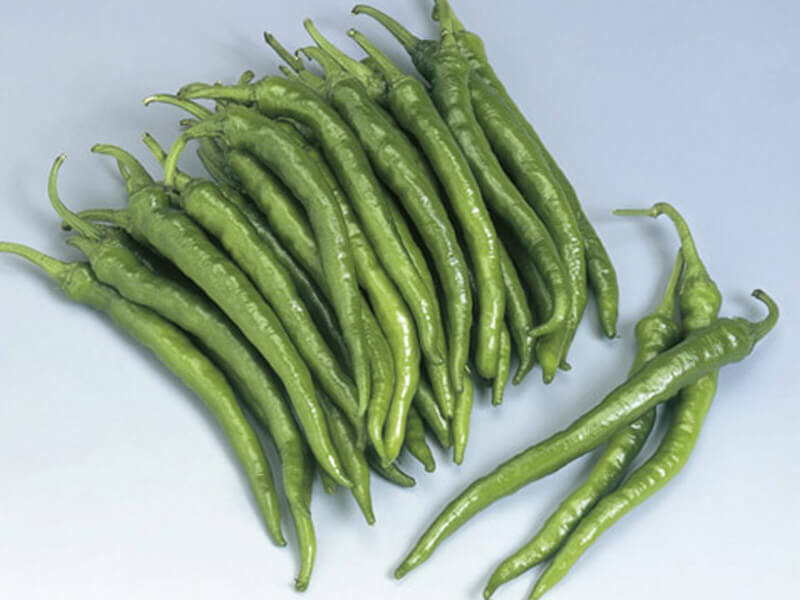 However it will include varieties from the Capsicum annuum, Capsicum frutescens and Capsicum chinense species. Find out about the Shishito pepper. 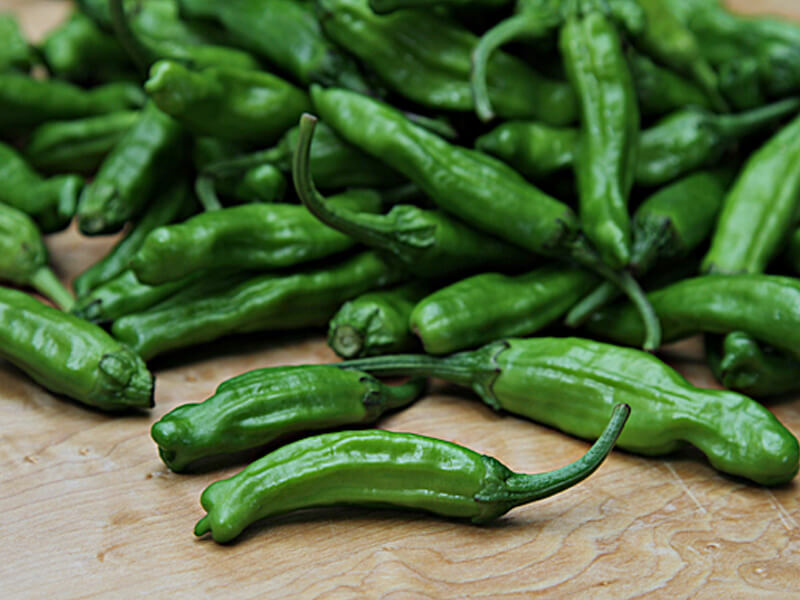 These are the Japanese equivalent to the Spanish Pimiento de Padron. Find out about The Fushimi pepper. The Fushimi pepper is a sweet Japanese pepper is thin-walled and glossy bright green. 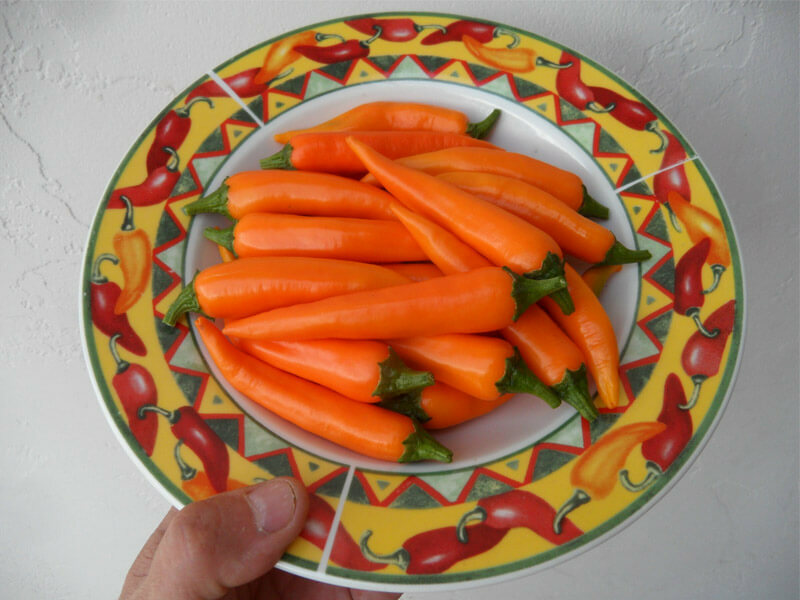 Find out about the Orange Thai pepper. They fall under the capsicum-annum family. 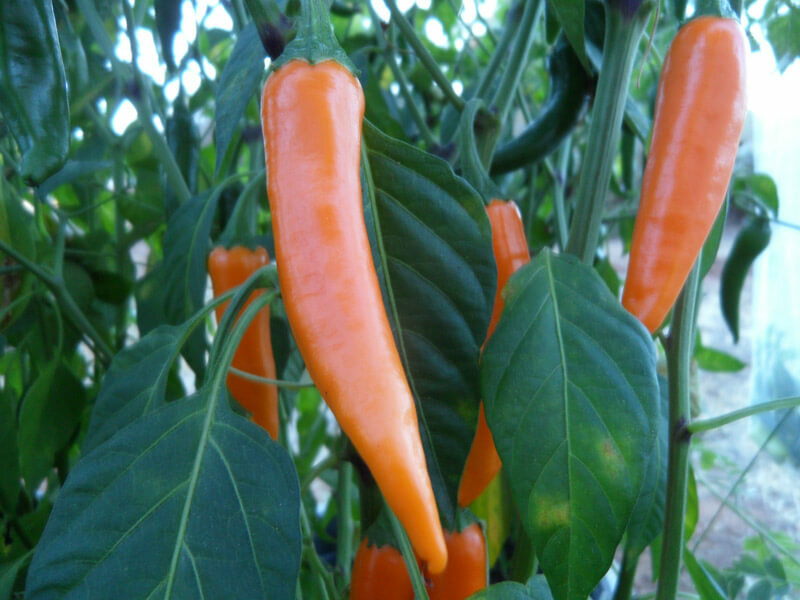 The Orange Thai is very productive and produces spicy orange peppers that have a nice fruity flavor.